Besides just telling an interesting story, you’ll be doing powerful work to build your brand, your network, and your leadership—along with an interesting story of your own. This is one of the key conferencing tips Keith Ferrazi gives in his networking classic Never Eat Alone, a book full of insight on building relationships in and out of the conference world. And he’s right. 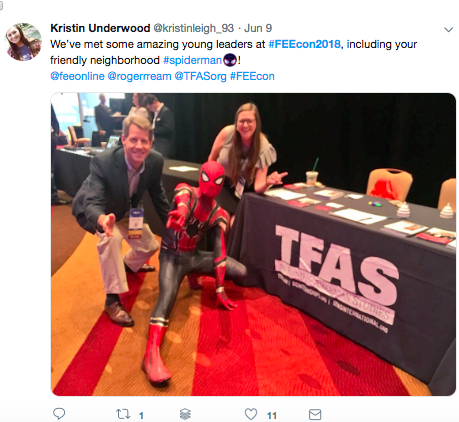 By capturing moments—through video, photos, and words—and sharing them out with the world, you can get a near-VIP experience of a conference for the normal cost of admission. 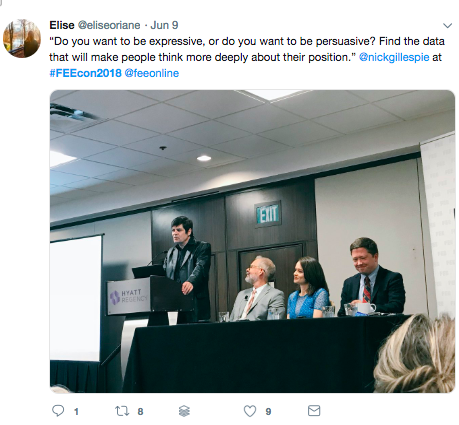 Why Be a “Conference Reporter”? Conferences can be pricey and time-consuming. So why spend your precious conference time taking photos and videos? It’s a fair question. Most people don’t think about the unique opportunities conferences offer for people willing to get creative. For one thing, sharing results and insights from the conferences you attend will help you make a better case to your boss about why your travel costs were worth it. It can also help your company get more exposure while helping you forge in-person or digital connections with the people and speakers you’re profiling. Everyone loves to think back on good memories, get the inside scoop on exclusive events, and brag about what they’ve done and seen. Your work as a “conference reporter” does it all. Best of all, documenting an event is an easy way to create value for your fellow attendees, the organizers, and the people who couldn’t make it to the conference. Everyone loves to think back on good memories, get the inside scoop on exclusive events, and brag about what they’ve done and seen. Your work as a “conference reporter” does it all. Fortunately, becoming the documentarian of any event has never been easier. And while Never Eat Alone gives some tips, it doesn’t dig much into the brass tacks of how to do it right. So here are a few key things to know about how to become the “official” unofficial documentarian of your next conference. Many conferences don’t have enough videographers and photographers to go around. And speakers love having their best moments captured, especially if you have something better than a smartphone camera. If a speaker starts relating a great anecdote about their rise to the CEO job, capture it! The world may never hear it told that way again unless you do. Beyond just capturing moments from great speakers, you can also engage with conference attendees. Capture them at work—in words, images, or video. Give them something they can leave the conference with. Tablers love this, too. Once you take the photos, share them! Make sure you have the right permissions from your subjects first. Then you can put them up on social media or share them directly with attendees or the organizers. I once did just this, taking up the mantle of unofficial event photographer at a hackathon my company sponsored. During breaks in the action at our exhibitor table, I wandered out among attendees and took semi-professional photos of young hackers with my camera. I shared the photos with participants free of charge. All this built up goodwill and sparked fun conversations that raised my company’s profile practically for free. I took some of my inspiration from the photographer Judd Weiss. 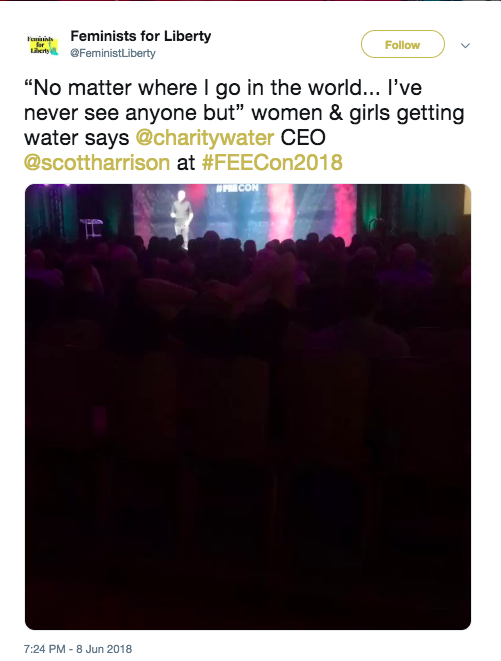 He has helped to build an incredible career and reputation as a photographer by taking shots of attendees at libertarian youth events. Now a Judd Weiss photo is practically worth its weight in gold. Once you’ve captured great moments, you’ve got to get them out to the world. First, look to social media. If the organizers don’t prohibit recording, broadcast a Twitter or Facebook live video. These content pieces can be quite popular and reach a lot of people. Comment feeds on these videos can give you a way to engage with people on the ground and at home. When you’re live-tweeting, remember not to just share a picture of someone giving a talk. And don’t bother just inserting a caption about “X speaker talking about X topic.” Instead, listen for an interesting quote. Capture an interesting anecdote. Make a meaningful comment. It’s your job to share something that lives only in the live context of the event. As Never Eat Alone points out, Twitter can be a tool for conference conversation. There will always be a few other accounts live-tweeting from the event. Take the opportunity to follow them and strike up connections or good public back-and-forths. With all your broadcasting, remember one rule: people wish they were there or are proud that they were. You can take the listicle approach for a simple start. Create an easy-to-scan rundown of a day, track, or theme at the conference you attended. Gather tweets and Instagram posts from other attendees. Share key notes and takeaways. Give shout-outs. Whatever you make, build a colorful, rich timeline that tells the story of the conference you’ve attended. Writing not your thing? Video mashups can also tell great stories—they don’t have to be professional-grade. Whatever you make, build a colorful, rich timeline that tells the story of the conference you’ve attended. Then remember to share it. Your work can be the “digital scrapbook” of conference memories for everyone involved. And you’d be surprised at the opportunities this final step can create. Part of the reason I’ve been invited to write this article is a popular “highlights reel” I built for one of my favorite events of 2018. In my brief experience, this gig of “conference reporter” has been one of the best ways to experience events. Give it a try. Besides just telling an interesting story, you’ll be doing powerful work to build your brand, your network, and your leadership—along with an interesting story of your own. Looking for a chance to document a conference of your own? Want more big ideas around entrepreneurship, innovation, and living freely? 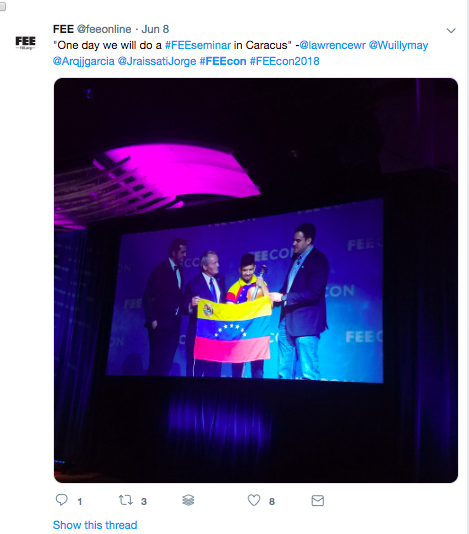 FEE’s annual FEECon conference brings hundreds of ambitious young thinkers together with entrepreneurs, philanthropists, artists, and intellectuals for a three-day fusion of new ideas, new friendships, and new endeavors.